Book Your Home Stay Gangtok - Check Now! 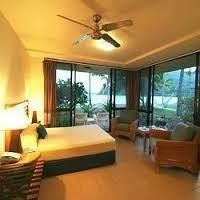 HomestayÂ is a popular form ofÂ hospitalityÂ andÂ lodgingÂ whereby visitors sleep at theÂ residenceÂ of a local people house of the village or city. Home Stay there is place like home we all aspire to have a home in the hills, along a beach, in a remote village, a small cottage with a lawn and a organic kitchen garden to feast on, an open space for our pets to run around. Well, Homestays offer that very experience of unwinding in a lovely setting as guests to warm, friendly prople, who have opened their traditional as well as modern home to guest. Farm staysÂ are a type of a homestay, in which the visitor stays on a workingÂ farm. Every home has a host present and they do more than just hand over keys. Theyâ��re real people bringing real homestay experiences to life.